« How can Troponin get elevated in Pericarditis ? What do we mean by Inappropriate coronary angioplasty ? This term is quiet often used in the main stream cardiology journals , in work places , conferences , hospitals and even among lay persons . No body bothers to define this terminology. What exactly this term means ? It may not mean anything . . . to most of us even as the percentage of inappropriate angioplasty is steadily increasing over the years . What does the term Inappropriate angioplasty mean ? 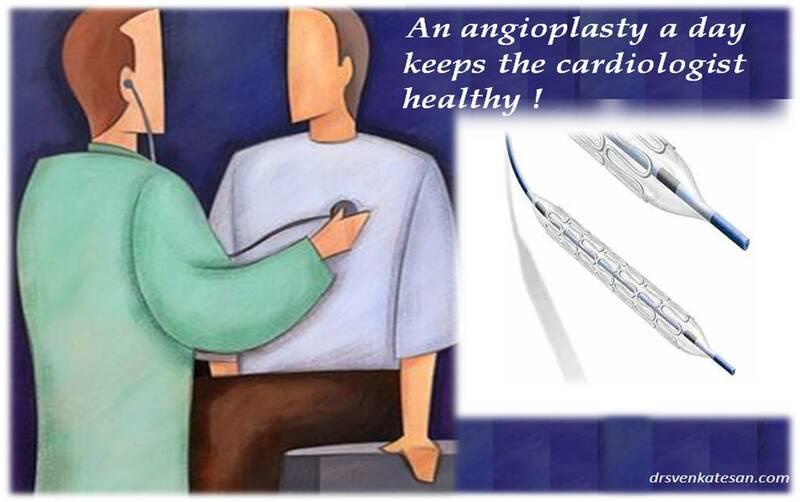 A.It simply means doing unnecessary angioplasties and has no major implication to any one. B.A form of medical ignorance or an unethical act and should be strongly condemned. C. An acceptable cardiology practice , need not be discouraged , as it improves the quality of life of physicians ! D. A sure act of “error by commission” that amounts to medical negligence . E. It can be termed as medical malpractice as it amounts to harming the patient with or without intention. I could not locate a contact email, so I am posting here. You were one of the early — and crucial – supporters of my blog adventuresincardiology.com.